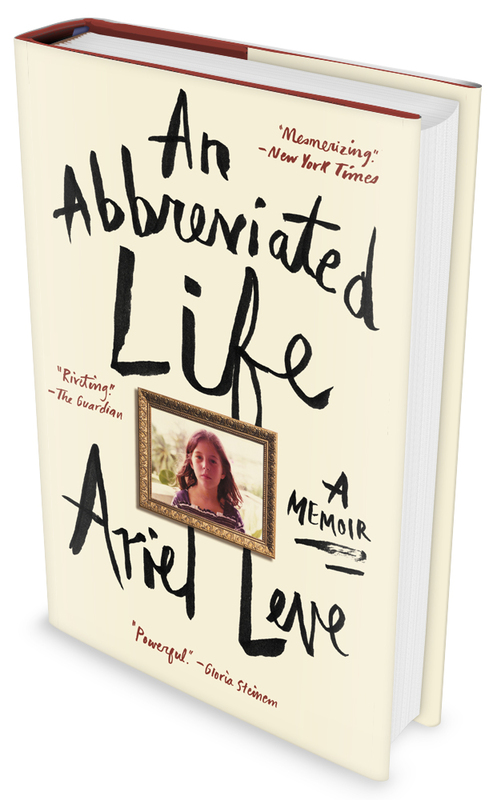 In this extraordinary memoir, Ariel Leve takes us through the looking glass into the life of an only child growing up under siege. The unconventional world Ariel inhabited was dominated by her mother, a gifted but unstable poet without boundaries or self-restraint. Mother and daughter lived in a penthouse on Manhattan’s Upper East Side, which was the setting for raucous parties that attracted New York’s cultural and intellectual elite: Gloria Steinem, Norman Mailer, and Andy Warhol, to name a few. For all its glamor, this was a universe that was neither predictable nor safe. With her beloved father living in Southeast Asia and the death of a nurturing caretaker, young Ariel was left to navigate an emotionally perilous landscape alone. It took four decades before she was able to make sense of the aftershocks of childhood, which eventually necessitated a voyage in secret to the other side of the world. Unflinchingly, and with ferocious candor, Leve trains her writer’s eye on the harrowing circumstances of her life with (and without) her mother, and transforms the chaos into art. In stripped down, elegant prose, Leve paints an indelible portrait of her upbringing and the long fight to tunnel her way out of the darkness. The drama of her journey proves to be as exhilarating as it is painful and, ultimately, emancipating. An Abbreviated Life heralds the arrival of a fearless new voice in the literary firmament. Ariel Leve is an award-winning journalist who has written for Esquire, the Guardian, Financial Times Magazine, the Telegraph, the Observer, and the London Sunday Times Magazine, where she was a senior writer and a columnist. At the British Press Awards she was short-listed twice for Interviewer of the Year and Highly Commended twice. Published by HarperCollins in 2016. Meet Ariel. Her glass is half empty . . . and leaking. If someone tells her everything will be okay, she asks: How do you know? If there's a wrong thing to say, she'll say it. If there's a downside to see, she'll see it. She lives in a permanent fear of what's to come. But at least she's prepared. In these witty and entertaining tales from the front lines of woe, Ariel highlights the humor in our everyday anxieties and delivers insight that will ring hilariously true if you are inclined to view the world through graytinted glasses. 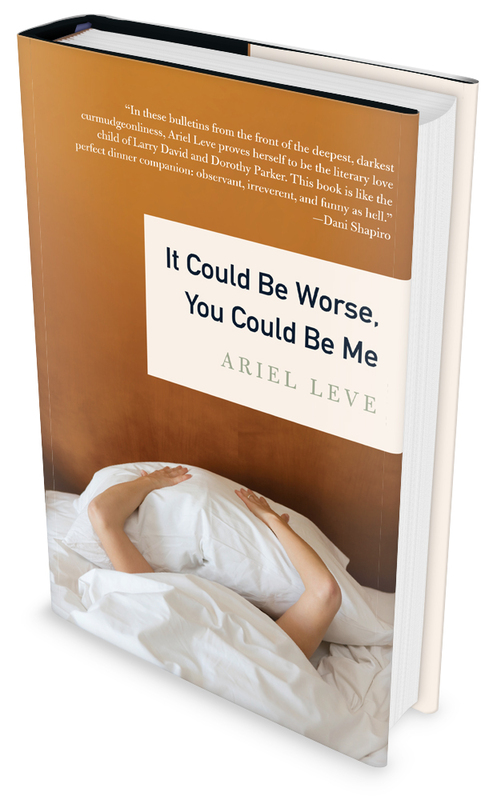 So whether you've been dumped by the love of your life, lost your job to the guy in the cubicle next to you, said the wrong thing at the party, or weren't invited to the party at all, Ariel is here to remind you that it could be worse, you could be her. Published by HarperPerennial in April, 2010. Ariel Leve and Robin Morgan's oral history 1963: The Year of the Revolution is the first book to recount the kinetic story of the twelve months that witnessed a demographic power shift—the rise of the Youth Quake movement, a cultural transformation through music, fashion, politics, and the arts. Leve and Morgan detail how, for the first time in history, youth became a commercial and cultural force with the power to command the attention of government and religion and shape society. While the Cold War began to thaw, the race into space heated up, feminism and civil rights percolated in politics, and JFK’s assassination shocked the world, the Beatles and Bob Dylan would emerge as poster boys and the prophet of a revolution that changed the world. 1963: The Year of the Revolution records, documentary-style, the incredible roller-coaster ride of those twelve months, told through the recollections of some of the period’s most influential figures—from Keith Richards to Mary Quant, Vidal Sassoon to Graham Nash, Alan Parker to Peter Frampton, Eric Clapton to Gay Talese, Stevie Nicks to Norma Kamali, and many more. Published by HarperCollins in 2013.